3 Ring Binder. Emblem embossed in gold. Available in White, Red, Lt. Blue, Dk. Blue and Green. Two sizes: 7 1/2" X 9 1/4" and 10" X 11 1/2". 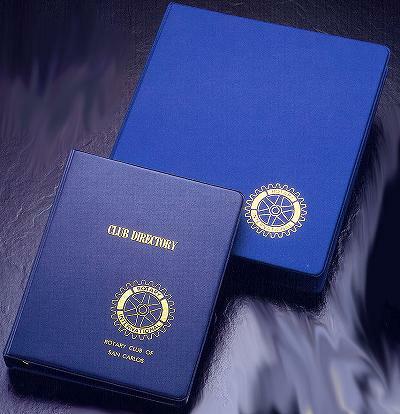 Embossing available for $5.00 per line.